Buddy's Place - Widenham Akkommodasie. Buddy's Place consists of 7 bedrooms, ideal for large groups. Each room offers coffee and tea facilities and communal bathrooms. We have a classroom ideal for first-timers, a big living area. After a fun-filled dive on the Aliwal Shoal, you can enjoy a relaxing sun downer in the swimming pool. Playground for the kids with a full time nanny on request. Room 1 is on the top floor of the house with 2 single beds and a nice view of the pool and front garden. Each room has a kettle with coffee, tea, milk and biscuits as well as a hairdryer. Room 2 is located on the upper floor of the house and comprises a double bed. It has beautiful views of the pool and garden. Each room has a kettle with coffee, tea, milk and biscuits as well as a hairdryer. Room 3 is on the top floor of the house with 1 queen-size bed and 1 single bed. It has a nice view of the pool and front garden. Each room has a kettle with coffee, tea, milk and biscuits as well as a hairdryer. Room 4 is fitted with a queen-size bed and is located on the top floor of a house with a lovely view on the south side of the garden. Each room has a kettle with coffee, tea, milk and biscuits as well as a hairdryer. Room 5 is on the ground floor of the house overlooking pool and front garden. The room has 2 bunk beds ideal for backpackers or children. Each room has a kettle with coffee, tea, milk and biscuits as well as a hairdryer. Room 6 is located on the ground floor of a house with views of swimming pool and garden and is equipped with a double bed. Each room has a kettle with coffee, tea, milk and biscuits as well as a hairdryer. Room 7 is located on the ground floor of the house overlooking south side of the garden. It comprises a queen-size bed. Each room has a kettle with coffee, tea, milk and biscuits as well as a hairdryer. "Endless discoveries on The Aliwal Shoal" - Lets Dive! Discover a new world! Enjoy the freedom of gliding through the blue! Experience new adventures and explore undiscovered worlds. Make new friends! Diving is much easier than you might think! Be ready to enjoy a new challenge and dive into a new world! Diving means being transported to undersea caverns, swimming with schools of seemingly make believe fish; exploring places that only handfuls of human beings have laid eyes on … diving can take you all around the world to the earth’s most stunning locations, and expand your understanding of nature’s possibilities. "Find the Treasures of the Underwater World"
?Along the East Coast of South Africa, just south of Durban lies a subtropical stretch of coastline known as the KwaZulu-Natal (KZN) South Coast. Visitors to the coast are greeted by warm, welcoming waters of the Indian Ocean and fine stretches of sandy beach set against a backdrop of rolling sugar cane hills interspersed with islands of indigenous bush. Umkomaas, a small town about 45km to the south of Durban, forms part of this magnificent coastline. Renowned for the spectacular dive opportunities created by Aliwal Shoal - a large sandstone reef lying 5km out to sea – the town is home to the well-known Buddy Scuba Diving Adventures – TDI/SDI/SSI dive school, dive charter and holiday guesthouse “Buddy’s Place”. 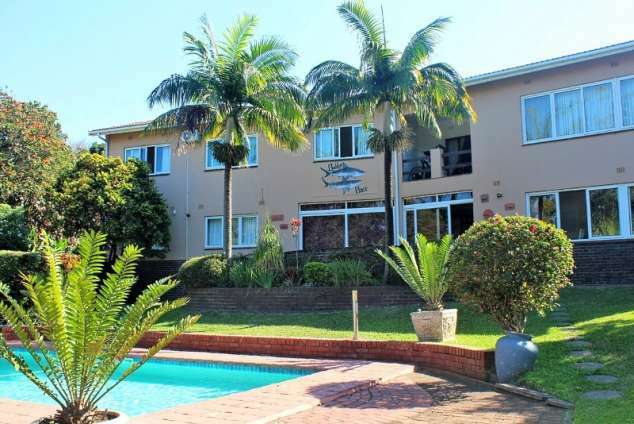 Detail description : Buddy's Place is the home of Buddy Scuba which specializes in adventure and offers a full range of diving courses as well as transportation from and to King Shaka International Airport. There are 2, fully equipped dive boats with experienced diving masters and skippers exclusively for the guests' and will gladly offer special dive and dive packages to diving schools, diving centres, groups and people who want to come diving together. Aliwal Shoal has 2 shipwrecks, the Nebo and the Produce, as well as a variety of shark species for the thrill seekers. Other tourist attractions include the famous Umkomaas Golf Course and Empisini Nature Reserve as well as Crock World where the world's largest crocodile can be seen. 603 besigtings sedert 07 Feb, 2019. Laas opgedateer op 18 Feb, 2019.